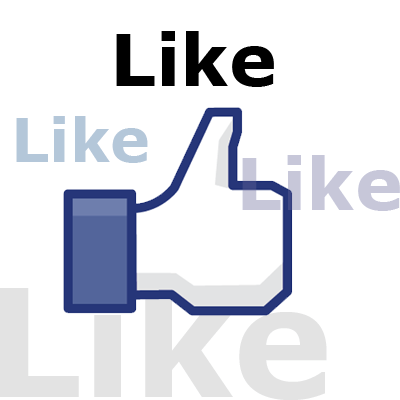 Restaurant Fan Page Promotion – Most “Likes” Wins – Right? Most Likes Win – Right? Here is a very helpful link to Facebook that examines page analytics at much greater depth. The object then is to maximize the number of people that see your post and then engage with it. First let’s see how Facebook programs everyone’s News Feed. It is important to remember that, on average, only 16% of your fans will actually see your posts. Facebook determines who sees what by a complex combination of algorithms called “Edgerank”. These are based on three factors – Affinity, Weight and Time Decay. There are dozens of websites that explain what this means in exhaustive detail and they are just a Google search away, but here’s the thumbnail version: Affinity –Measures the relationship between the user and the creator of the story. In the case of a fan page it means the more a fan has interacted with your page in the past the more likely they are to see it in the future. Weight – Different types of posts carry different weights. For instance – posting a photo is more valuable than a simple text comment, a fan commenting is more valuable than someone simply liking your page. Rule of thumb is if something takes longer to accomplish it registers more weight. The higher the weight, the higher the score. Time Decay – As a post ages it continually loses value. Here are a few simple guidelines to maximize your page’s Edgerank value: What to post – Your Facebook posts should be Visual, Engaging, Brief and Relevant. Pictures, Pictures, Pictures! Brief targeted communications that include graphics are a perfect example of a picture being worth 1,000 words. Visuals of dishes, dining rooms or patrons enjoying a wine tasting are a compelling force in the use of Facebook to promote your restaurant and attract more followers. Photo albums are 180 times more likely to illicit engagement from fans, with photos and videos right behind at 120 and 100 times more respectively. Interactive – Updates should include an interrogative element that invites a response. Try asking about a wine pairing option, a favorite dish, or a suggestion for a new feature or menu item. Adding a simple call to action increases the chances of a response by ninety times. Succinct – Posts between 100 and 250 characters are 60% more likely to get “liked” or commented on – keep things short. When to post – While it may seem unintuitive studies show that the most effective time to post during the day is after 4:00 PM, with the peak being between 7:00 and 11:00. The reasons are relatively simple – while most people are working during the day many Facebook page posts will go by unseen as they are buried by everyone else that posts during the same time. Yes, the truth is that while most businesses post during office hours it is the posts that are created during the evening hours that re viewed, and propagated virally, my the most users. How often – Once a day is a safe rule to stick to for several reasons. The first is that one of the most often cited reasons for un-liking a fan page is that it posts updates too often, or worse, several in a row. Important to remember – more than 95% of your fans view your updates on their own News Feed, not on your page. Clogging up the flow is not only going to devalue your posts, it will also provoke the dreaded “Hide” button. Facebook is an intuitive and interactive networking platform that enables you to connect directly with your customers in ways that were almost imaginable just a few years ago. You can get feedback, reward participation and notify customers of new offerings. It is, however, more important than ever that this very powerful marketing and communication tool be used effectively. Remember, there are no shortcuts. The trick is to keep people engaged and interested and they will respond. Just filling the theater won’t do it – you have to put on a successful show to keeps fans coming back.